An ex-con (John Payne) becomes the unwitting patsy in a heist engineered by a masked man (Preston Foster), and carried out by three criminals (Jack Elam, Neville Brand, and Lee Van Cleef) who don’t know each others’ identities. 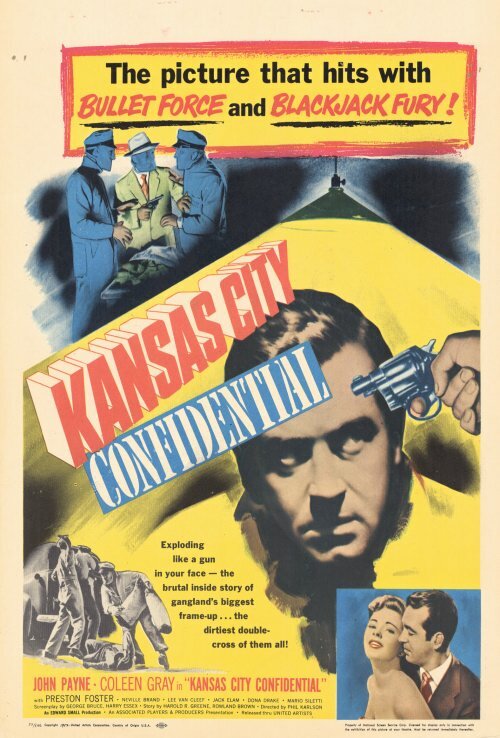 This compact, gritty thriller by director Phil Karlson (The Phenix City Story, Five Against the House) takes viewers on a fast-paced journey from Kansas City to Mexico, as its protagonist (John Payne) doggedly tracks and pursues the cons who’ve framed him. 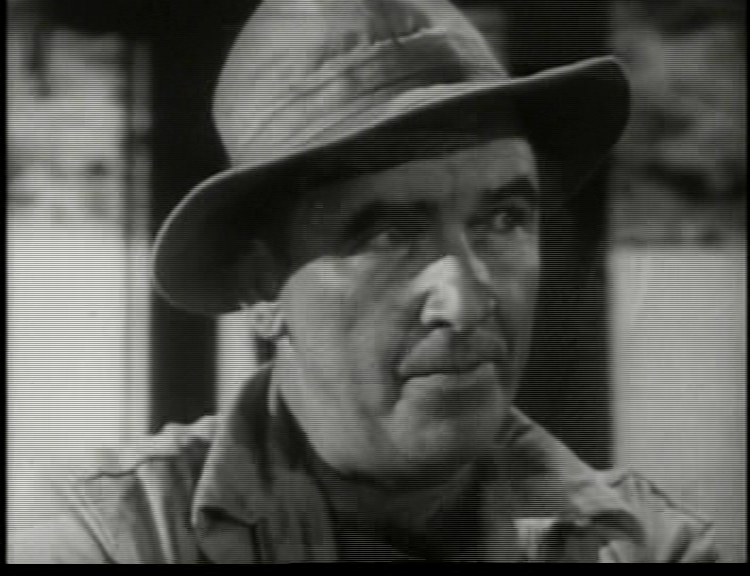 Payne — a down-on-his-luck veteran who can’t seem to catch a break — actually doesn’t emerge as the film’s central character until after the initial heist sequence has taken place; from this point on, events unfold in a series of tense, often violent encounters, as both Payne and the criminals express bitter determination to secure their fair share of the loot. An added layer of complexity emerges once we learn the true identity of Foster’s “Masked Man”, and begin to understand the motivations behind his organization of the secretive heist. Unfortunately, lovely Coleen Gray is wasted in a supporting role as Foster’s beautiful daughter (who falls for Payne, thus complicating matters even further) — but the male performances throughout are uniformly excellent, and the punchy script offers them plenty of memorable exchanges (“You been givin’ me the fisheye all night…”). 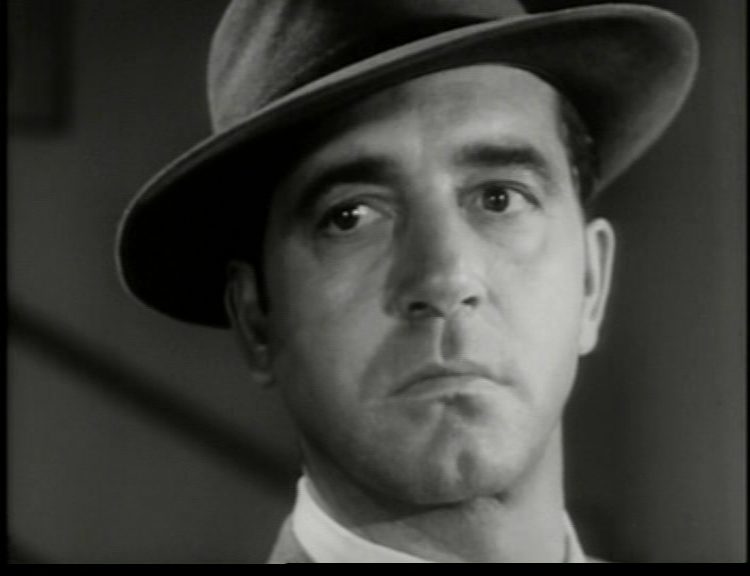 Yes, as a highly enjoyable noir caper flick. 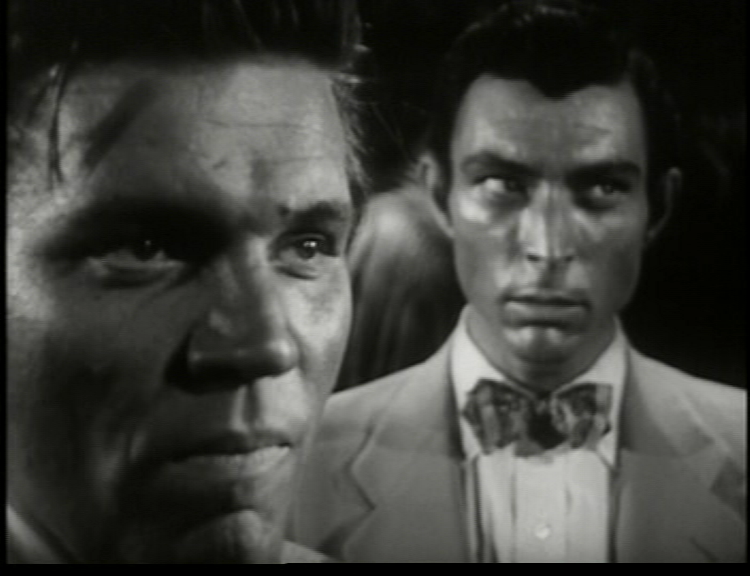 Fantastic and gritty film noir! Should be seen immediately! A must. And quite possibly director Karlson’s best film. I seem to see this once every several years. Like some of Karlson’s other films, it’s pretty much ‘what you see is what you get’ – so essentially it doesn’t offer up new surprises on repeat viewings. What gives ‘KCC’ the edge, though, is that Karlson may very well have had his best script here. So what you appreciate (if you see it every once in a while) is how well constructed the progressively tense piece is – with twists and turns that get mileage. Even though ‘KCC’ has noir elements (esp. 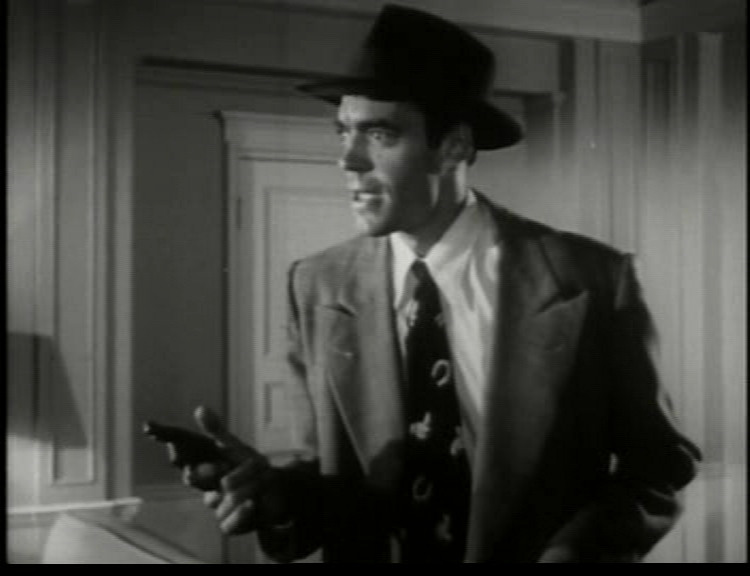 a main character who seems to have a ‘black cloud’ over him) and many nighttime sequences, it doesn’t really have the atmosphere (i.e., mood lighting) of typical noir. Yet, it’s not your typical crime caper either. It’s this hybrid that gives ‘KCC’ much of its unique quality. And Payne is so good! Could this be the best of his dramatic roles as well? (He gets me going every time here – but then, he very much resembles a fave ex-boyfriend, only in a non-Hispanic way.) 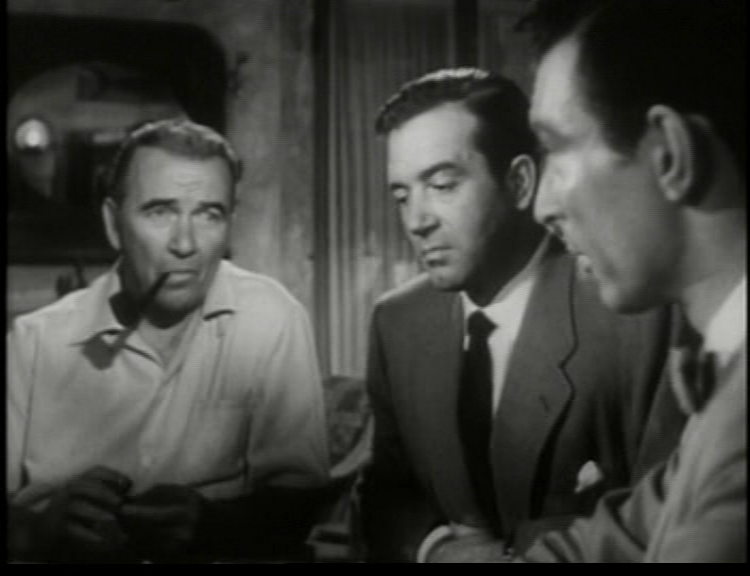 Which is not to slight the supporting cast: Elam, Van Cleef and Brand are the perfect nasty trio, and Foster is esp. good in his duplicitous turn. I don’t think Gray is particularly wasted – in fact, I find her rather effective; and, even though one might like to see more of the budding relationship between her and Payne, her role is a nice counter to the rest of the action.